Why Walking Your Dog Is Vital for His Wellness? If you have a tight schedule and you cannot walk your dog as often as you like, hiring a professional dog walking service is a great idea. We all know pets make our lives better. They are excellent and loving companions, their presence in our lives bring numerous advantages. But why regular dog walking is actually so important? Daily physical exercise is beneficial for your best friend’s health. Sedentary dog’s life can cause digestive system’s problems and eventually constipation. Taking your dog for a walk on a regular basis is helpful for his body as it makes its muscles and lungs stronger. Many furry friends suffer from overweight simply because they are not getting their physical exercises. Daily walks prevent your furry friends from destructive behavior, including constant chewing, digging, and barking for nothing. They help them to overwhelm hyperactivity and extra energy. If your dog has nothing else to do, he turns to its natural activities due to boredom. Thus, relying on a specialist for his walk is an exceptional choice. Daily walks are excellent ways to help your dog socialize with other pets. By meeting other humans and pets on a daily basis, your furry friend has the unique chance of exploring the world around him. As time goes by, your dog will become more and more socialized and will stay like this for the rest of his life. If you have a timid pet, regular physical exercises will make him build confidence and trust. This way, by exposing him to other people and pets every day, he will feel more comfortable around them. Counting on a pet walker is a great decision for educating your dog useful habits. They will have the chance to learn new things, such as sitting before crossing the street, lying down, passing a paw, following you, or sometimes, get left behind. Precious Pet Care treats your lovely pets with personal attention and care. 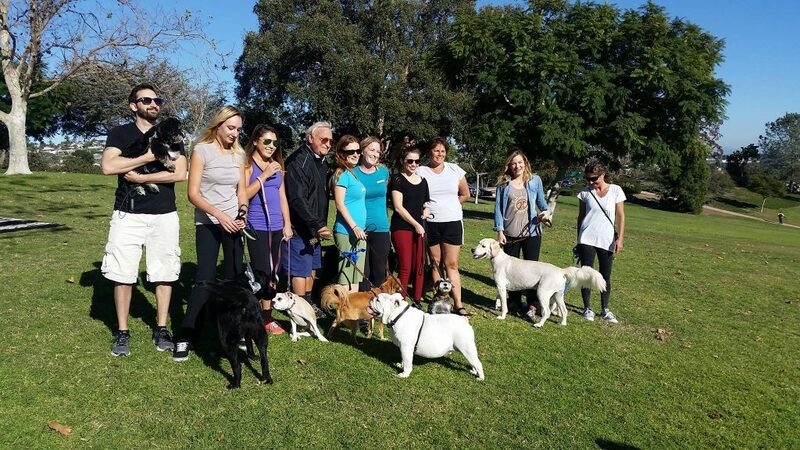 If you live in San Diego, CA 92103 and are looking for a dog walking service, make sure you give us a call at (858) 433-5063.